of Lockhart, TX. All interested parties are urged to attend this Public Hearing. Property Address: 703 Brazos St. Violation Noted: # 1, 3, 4, 8, 9, and 10 of the violation list below. 1. The building, structure, or any part thereof is liable to partially or fully collapse. 2. The structure or any part thereof was constructed or maintained in violation of any provision of the building code or any other applicable ordinance or law of the city, county, or state. 3. Any walls or other vertical structural members list, lean, or buckle to such an extent that a plumb line passing through the center of gravity falls outside of the middle third of its base. 4. The foundation or the vertical or horizontal supporting members are 25 percent or more damaged or deteriorated. 5. The nonsupporting coverings of walls, ceilings, roofs, or floors are 50 percent or more damaged or deteriorated. 6. The structure has improperly distributed loads upon the structural members, or they have insufficient strength to be reasonably safe for the purpose used. 7. The structure or any part thereof has been damaged by fire, water, earthquake, wind, vandalism, or other cause to such an extent that it has become either a nuisance or dangerous to the public health, safety or welfare. 8. A structure or any part thereof that is in such a condition as to constitute a public or an attractive nuisance. 9. The structure or any part thereof has inadequate means of egress as required by the building code. 10. The structure or any part thereof is a fire hazard, or is substandard, dilapidated, or otherwise unfit for human habitation, and is a hazard to the public health, safety or welfare. 11. The structure or any part thereof is designed for or is being used in the commission of a crime. 12. Any building, structure or portion thereof regardless of its structural condition, which is unoccupied by its owners, lessees, tenants, or other invites and is unsecured because of missing or unlocked doors or windows, or other unsecured openings from unauthorized entry to the extent that it could be entered or used by vagrants or other uninvited persons as a place of harborage r could be entered or used by children. Any unoccupied building, structure, or portion thereof which is boarded up, fenced or otherwise secured in any manner of the building still constitutes a danger to the public even though secured from entry, or the means to secure the building are inadequate to prevent unauthorized entry or use of the building. 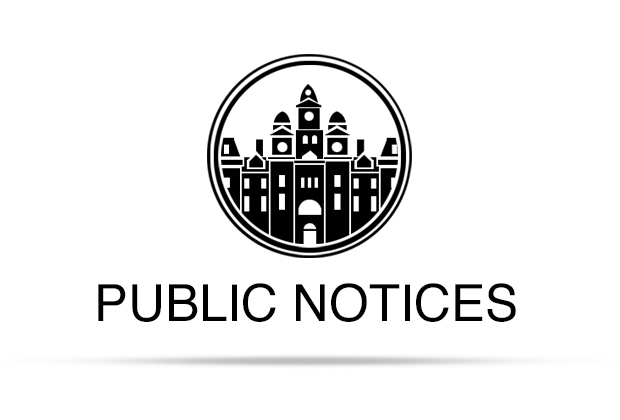 The City of Lockhart is accepting bids until 2 p.m., Thursday, November 10, 2011, at City Hall Glosserman Room, 308 W. San Antonio Street, Lockhart, TX, for annual maintenance mowing and weed-eating activities at the Lockhart Municipal Airport in specified areas. All bidders must possess a valid City of Lockhart contractor’s license and be bonded. Qualified bidders may obtain specifications packets at the Public Works Department, 705 Wichita St., during normal business hours. Bidders are encouraged to visit the site before submitting a bid. Mowing frequencies will vary based on weather conditions and needs. Bids not received by the date and time as specified above will be rejected. The City of Lockhart retains the right to reject any and all bids. Questions may be directed to Lee Weatherford at 398-6452 during normal business hours. AN ORDINANCE OF THE CITY OF LOCKHART, TEXAS, AMENDING CHAPTER 31 “IMPACT FEES” OF THE CODE OF ORDINANCES TO REVISE SECTION 31-19 “EXCEPTIONS” BY ELIMINATING AN EXISTING TEMPORARY EXCEPTION IN SUBSECTION (b), RESULTING IN ALL ROAD IMPACT FEES BEING CHARGED THE MAXIMUM (100%) AUTHORIZED AMOUNT AS DIRECTED BY THE CITY COUNCIL ON OCTOBER 4, 2011, PROVIDING FOR SEVERABILITY; PROVIDING A REPEALER; AND ESTABLISHING AN EFFECTIVE DATE. The complete ordinance may be viewed at the City Secretary’s Office, 308 West San Antonio Street, Lockhart, Texas, during normal business hours of 8:00 a.m. until 5:00 p.m., Monday through Friday. Gallery Petroleum LLC, P.O. Box 921, Kilgore, TX 75663 is applying to the Railroad Commission of Texas for a permit to dispose of produced salt water or other oil and gas waste by well injection into a porous formation not productive of oil or gas. The applicant proposes to dispose of oil and gas waste into the Lower Edwards Formation, Jeff Moore –B- Lease, Well Number 4B. The proposed disposal well is located 10 Miles NE of Lockhart, TX in the Dale-McBride Field, in Caldwell County. The waste water will be injected into strata in the subsurface depth interval from 2665 to 3000 feet. LEGAL AUTHORITY: Chapter 27 of the Texas Water Code, as amended, Title 3 of the Texas Natural Resources Code, as amended, and the Statewide Rules of the Oil and Gas Division of the Railroad Commission of Texas. Requests for a public hearing from persons who can show they are adversely affected, or requests for further information concerning any aspect of the application should be submitted in writing, within fifteen days of publication, to the Environmental Services Section, Oil and Gas Division, Railroad Commission of Texas, P.O. Box 12967, Capitol Station, Austin, Texas 78711 (Telephone 512-463-6792). The property to be auctioned was all purchased from AT&T and must be used with service with that carrier. The inventory includes smartphones and regular cell phones from various manufactures.